This also means it is time to beef up on your home selling security tips. Please make sure to follow these three steps to help ensure your kids’ and family’s safety while selling your home. 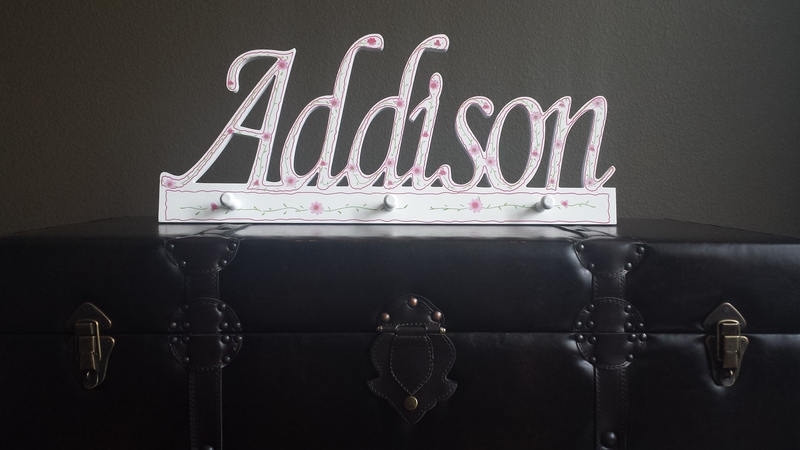 Take down those decorative names in your children’s rooms! I know, you worked hard on making your child’s room super-cute and those sweet letters hanging above their bed pull the whole thing together. But, the last thing you want is some predator seeing your home online, with your home address and pics of your child’s room with “Oliver” proudly displayed. So, please take down those letters before your Realtor’s professional photographer takes the MLS pics. Don’t let strangers into your home without their Realtor. You are out playing in the front yard, enjoying the late summer sun and someone pulls up to your home, noticing the ‘For Sale’ sign in your yard. They put the pressure on you, “Oh, we really want to see it right now, can we please come in? !” You think to yourself, “Well, this may be the perfect buyer, I can’t say no, can I?” The answer is you can and you should say NO! Your best move here is to politely hand them your Realtor’s card and ask for them to schedule an appointment. Now, they may try to say things like, “it’s okay if it’s a mess” or “we’ll be real quick” to get that on-the-fly showing. But for your family’s safety, they should always be accompanied by a Realtor. If the home truly is the perfect home for them, they will respectfully understand and wait for that appointment. Always make the Realtors sign in to the lockbox. This piggy-backs a bit on my last tip. The Board of Realtors in your city goes through many steps to ensure safety and integrity among its members. Their lockbox keys are special to them and Realtors can be fined heavily if they were to give them out, or lose their license completely. Also, almost all Realtors qualify their clients before driving them around, cutting down on the creep-factor of the clients. So, this lockbox system adds layers of protection for you and your family. I know it may seem cold to force a Realtor to use their key to log into a lockbox as you are passing them to leave for their showing. But, it helps ensure you are letting who you think you should be letting into your home, as well as it notifies your listing agent who has been in the home so that they can ask for feedback. Do you have an important safety tip that you would like to share with us? Please post a comment below! I wish you all a safe and fun summer! For more home-selling tips, be sure to sign up for our newsletter and follow our Facebook page. We Just SOLD 12528 Briarcreek Loop, Manor TX 78653!